Learn how to create a roadmap for sustainable success with business process innovation. Read solution sheet. Business leaders often struggle to pinpoint the source and breadth of the waste in their organizations. Even when they are able to identify and quantify the hidden costs of inaction (“the status quo”), the process of implementing change can often be a mammoth task. 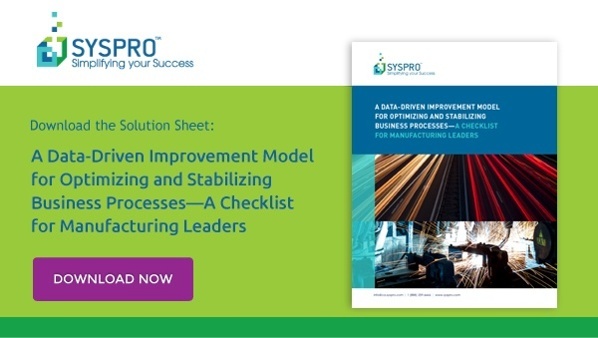 It is critical for manufacturing leaders to examine business operations, and determine if their businesses are maximizing performance and profitability, or are they struggling with on-going waste and loss—waste and loss that they know about, but more importantly, is the waste and loss that is hidden and uncovered. Read this information brief with detailed action items designed specifically for business executives in manufacturing, which outlines the most straightforward and effective method of spearheading business process innovation, the DMAIC method–a proven quality improvement approach for eliminating defects in your business processes and improving quality-related business metrics.